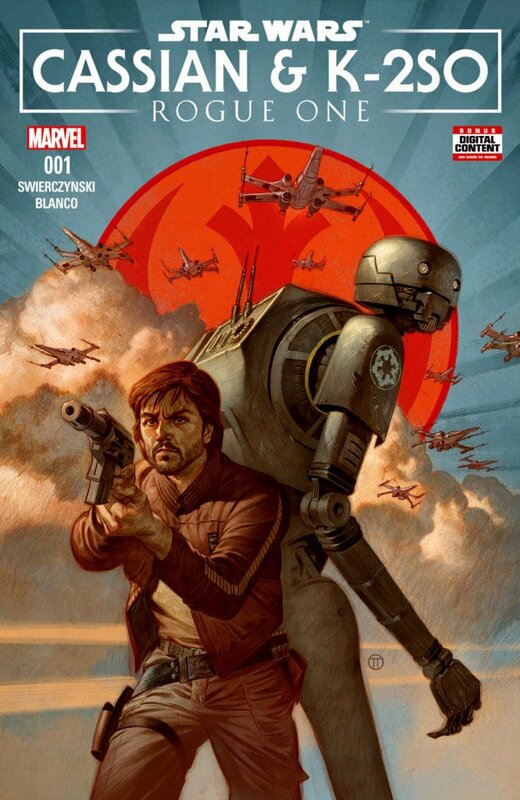 Author Duane Swierczynski and artist Fernando Blanco are set to make a big splash in comics with their new one-shot Star Wars: Rogue One – Cassian and K-2SO Special coming this August. Recently, the gang over at Marvel.com sat down with the two for an exclusive interview to talk about how they joined together to tell the prequel story of two Rebel friends…. Marvel.com caught up with author Duane Swierczynski (Cable, Punisher: Frank Castle) and artist Fernando Blanco (Marvel Zombies, Thunderbolts) to discuss their all-new one-shot comic titled Star Wars: Rogue One – Cassian and K-2SO. 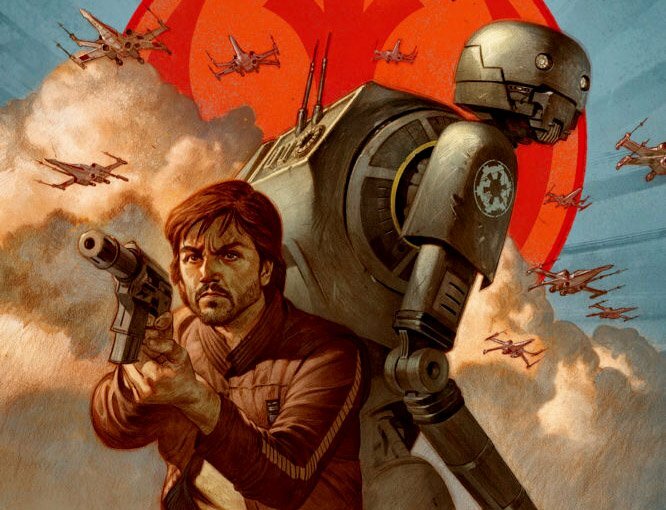 The ‘Rogue One’ prequel comic follows the story of how officer Cassian Andor and his reprogrammed droid K-2SO first team up to battle against the fire and destruction of an ever rising Galactic Empire. In this exclusive interview, the two share some surprising details about their upcoming work on the “Rogue One” prequel origin story and their experience of contributing to Disney and Lucasfilm’s new expanding Star Wars canon. Marvel.com: When you first watched “Rogue One,” what elements of it caught your attention the most? Duane Swierczynski: I love buddy cop films. From my point of view Cassian and K-2 fit perfectly into this genre, to Murtaugh and Riggs, Jack and Reggie, Freebie and the Bean, etc. So it was great fun to imagine the first meeting – who has become a friend? Why does K-2 always say exactly what he has on his mind? How did a spy of the rebels manage to trust an Imperial droid? Fernando Blanco: I think there are great expectations about how Rogue One has expanded the universe of Star Wars. To this film you can tell stories – not only because of the characters, but also because of the sound of the film. This is more realistic and darker. Professionally speaking, Star Wars is the biggest challenge for me. Everything is vast; Planets, cities, spaceships, etc, when comparing these things with the small people. If a star destroyer is as large as a small city, how big is the hangar in which to repair it? Duane Swierczynski: The blend of sci-fi and noir blew me away. It had everything that appealed to me as a kid—Stormtroopers, lasers, droids—along with noir elements that seriously appeal to me as an adult—morally-ambiguous anti-heroes, desperate combat, the feeling that the universe really is out to get you. It’s like when you eat something that’s both sweet and salty—a rare treat. 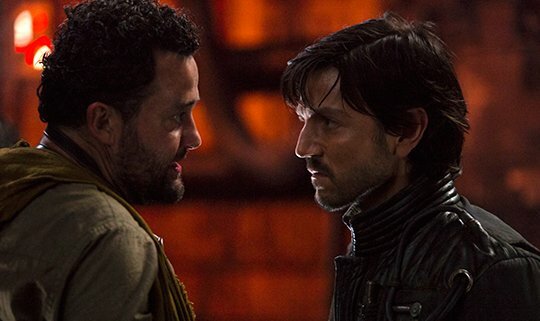 Fernando Blanco: The moral ambiguity of Cassian’s inner conflicts. Star Wars always been about the Light and the Dark Side, but in “Rogue One,” we see for the first time, gray areas that are not related directly with this axis. It’s a more realistic dilemma about real war conflicts, when you are obliged to obey orders or make decisions that could be ethically questionable in order to achieve a supposed higher good. 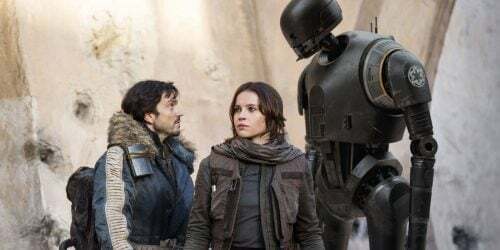 Marvel.com: This August, you will be pulling back the curtain a bit on two fan-favorite characters from “Rogue One”: Cassian Andor and K-2SO. Apart from the obvious fact that this comic would give you a chance to work in the world of Star Wars, what made this particular chapter in this mythos appealing? Duane Swierczynski: I love buddy cop movies. To me, Cassian and Kaytoo fit right into that grand tradition of Murtaugh and Riggs, Jack and Reggie, Freebie and the Bean, etc. So, it was great fun to consider their first meeting—who befriended who? Why does K-2 always say exactly what’s on his mind? How did a Rebel spy learn to trust an Imperial droid? Fernando Blanco: I think there are a really big expectation about the way “Rogue One” has expanded the Star Wars universe. There [are] a lot of stories to be told around this film, not only because of the characters but also because of the tone that “Rogue One” employs. It’s more realistic and darker. On the professional side, for me, the biggest challenge of a Star Wars comic is the “scale.” Everything is huge; planets, cities, spaceships, and more when compared with tiny humans. If a Star Destroyer is big as a small city, how big is the hangar where they repair them? This is, for example, a question we had to answer in our story. The “scale” is something very difficult to represent in a comic book because you have physical limits about how small you can draw a figure in relation to a gigantic space ship. The only way to achieve this is cheating using perspective and storytelling tricks. Marvel.com: Of course, there are a lot of characters whose backstories haven’t been fully developed yet. Why were Cassian and K-2SO clear choices for you? Duane Swierczynski: Well, they were assigned—but I think my editor very much knew these guys would appeal to me. Fernando Blanco: They are an old-school buddy movie cliché that we have seem many times in Star Wars. Luke and R2D2, Chewbacca and Han Solo, Poe and BB2; but at the same time they have a genuine chemistry, that we haven’t seen before. Marvel.com: Duane, in terms of writing their origin story, can you talk a little bit about how much you were able to bring to the table and how much LucasFilm Group had already established? What was this process like for you? Duane Swierczynski: I was brought to LucasFilm to read the script and watch some rough footage back in March 2016, a good nine months before the movie opened, which was a real treat—that I couldn’t tell a living soul about. The assignment: tell a story about Cassian and K-2SO’s first meeting. I thought about it for a while, then went in to pitch the Story Group directly, which was sort of like appearing before the Jedi Council. But it was also incredibly helpful, since I was able to fine-tune some details on the spot. So, the experience was unlike any other that I’ve had in comics—and one I’d do again in a heartbeat. Marvel.com: Fernando, similarly, you had a lot of the designs already pre-established from the movie. How many opportunities for adding your fingerprints to this story did you find available? Where can we see some of that? Fernando Blanco: I’ve designed Rismor and Kertas, alien twin rebels. Both will help Cassian in his mission. Also, I designed a couple of spaceships, Weacoe city and space port, and some Empire buildings and hangars. The full interview can be found over at Marvel.com. Look for the all-new 40-page comic book to hit shelves on August 9th.